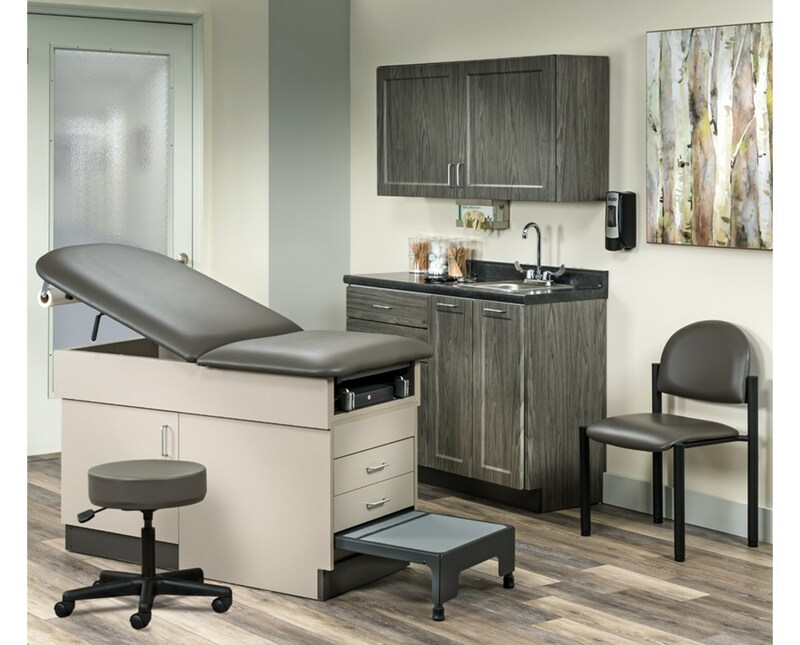 The Clinton Industries Complete Exam Room Furniture Package - Fashion Finish Ready Room is a cost-effective way to quickly set-up an entire exam, with all the needed furniture, for a single package price. 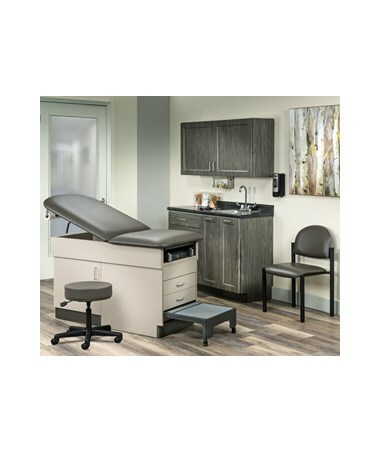 The Furniture Package includes the Family Practice Exam Table, Wall Cabinet, Base Cabinets with Postform Countertop, Stool, Glove Box Holder and a Side Chair. Made with high-quality and durable materials, the Family Practice Exam Table has a chip-resistant laminate base with an easily accessible overall height of 31". It has a pneumatic backrest that adjusts from either side and a pull-out step stool with safety tread for hassle-free usability. 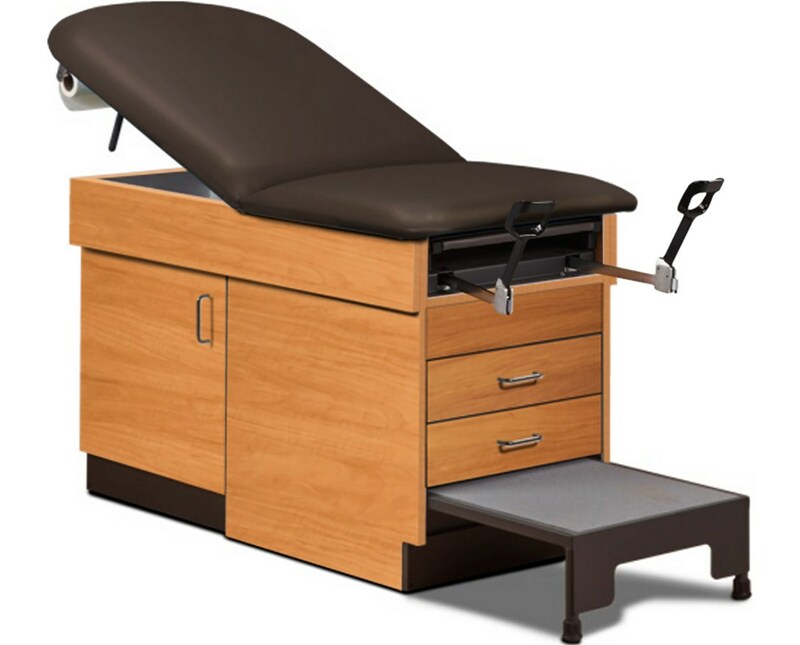 The Exam Table has a dimension size of 58" or 72" (Extended) L x 28.5" W x 31" H and 400-pound weight capacity. The Table is available in different laminate and upholstery colors. The Wall Cabinet with 2 Doors is a durable and easy-to-clean storage device designed to store multiple medical supplies and items needed in any hospital, clinic or medical facility. It has a size of 48" L x 12" W x 24" H and comes with Fashion Finish Colors to choose from. 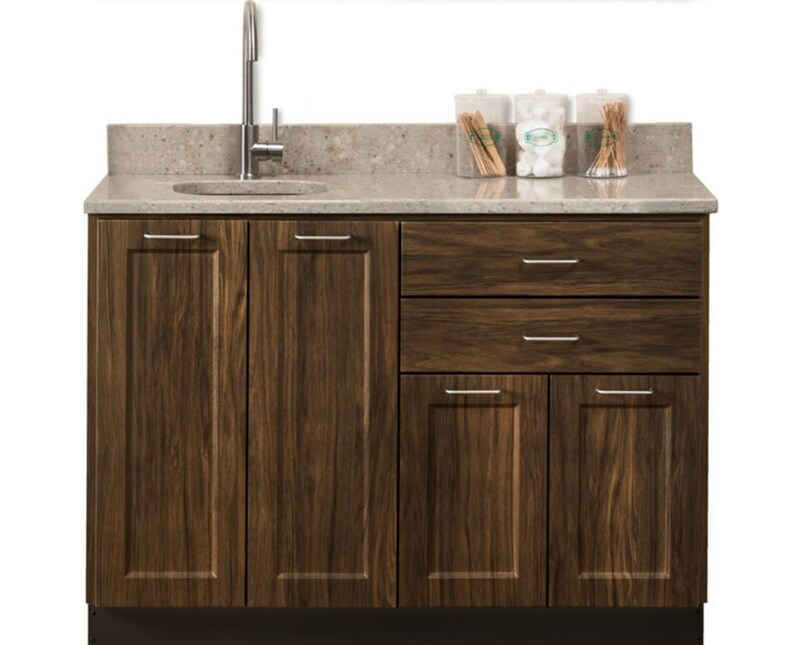 Designed to be cost-effective and aesthetically-pleasing, the Base Cabinet with Postform Countertop features 4 Doors, 2 Drawers, and a Sink. It is constructed with durable thermofoil surfaces and easy-to-clean materials. 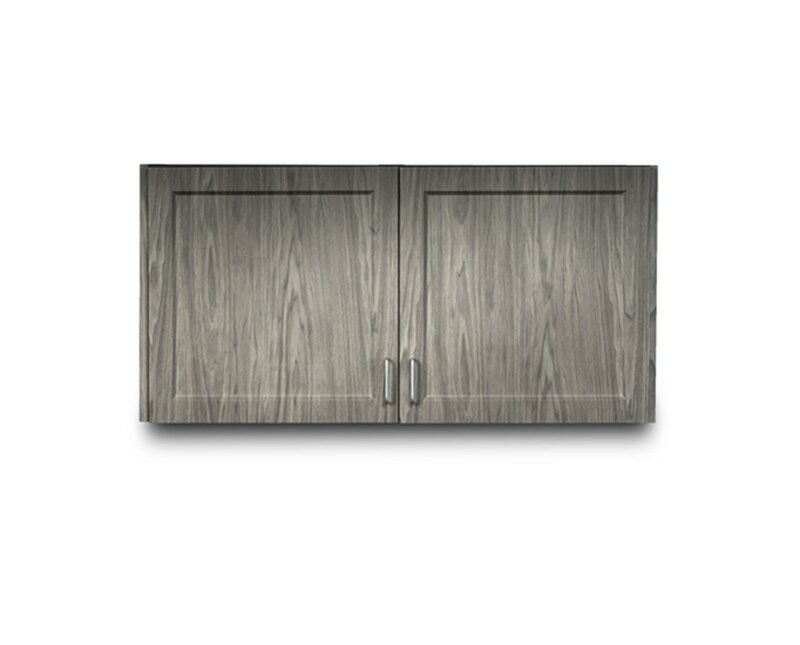 The Cabinet has a size of 48" L x 18" W x 35" H, a 75-pound weight capacity and a 3" Postform Countertop which eliminates backsplash. 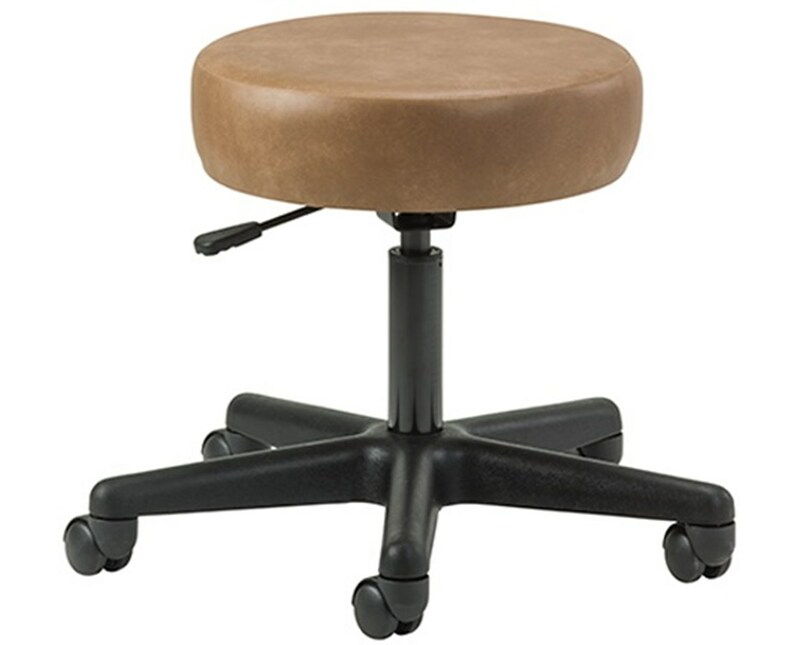 The Economic 5-Leg Pneumatic Stool is a cost-effective device with stain-resistant, woven, knit-backed, thick padded and vinyl upholstery for optimal user comfort. It features a hassle-free pneumatic height adjustment and easy-to-roll, nylon dual wheel casters. The Stool has a weight capacity of 250 lbs. and comes with a choice of 23 upholstery colors. With its single, stainless steel construction, The Glove Box features an open design that allows for quick and easy glove identification. 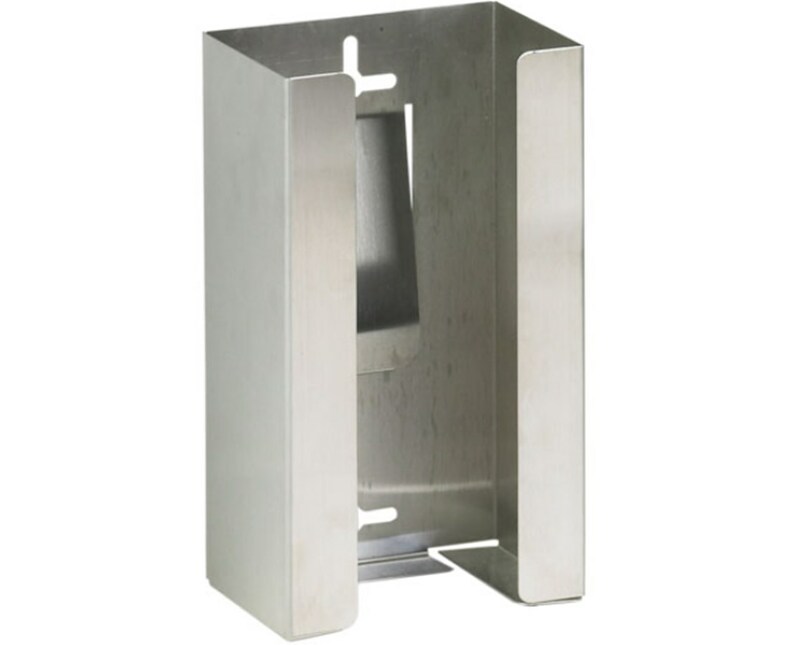 It has a universal size of 10" L x 3.75" W x 5.5" H which fits most glove boxes. Please note that this model is not MRI compatible. 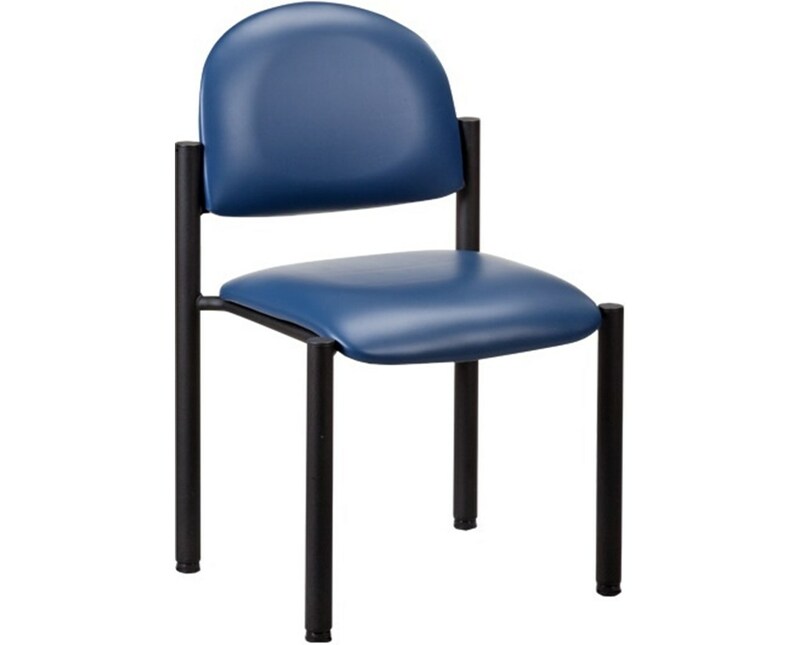 The Exam Side Chair is a premium-made device designed to provide patients with a relax and comfortable experience. It is made of a durable 2" firm foam padding with heavy-duty legs that provide a 300-pound weight capacity under normal use. The Side Chair has a size of 20" L x 22" W x 32.5" H and a choice of upholstery colors. Order now by clicking "Add to Cart!" in the drop-down box above.